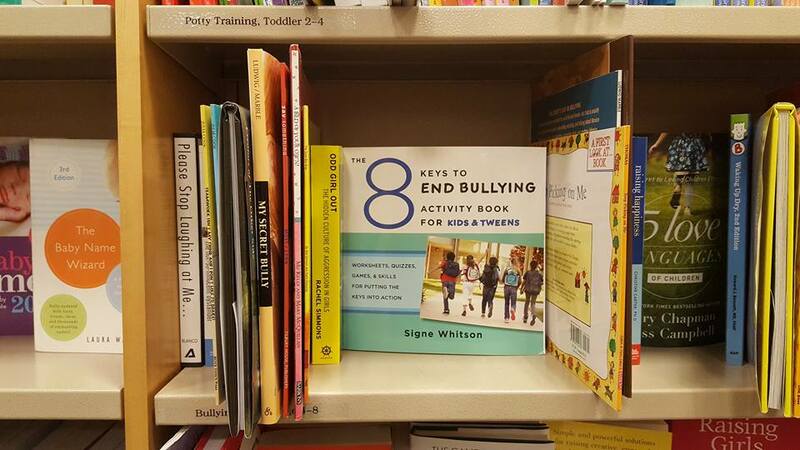 I was just at a Barnes & Noble fundraiser for my kids’ school and found my new book featured on this shelf! Just as exciting to my fan-girl self is that my book is right next to Rachel Simmons’ groundbreaking, Odd Girl Out, and the books of my favorite children’s author, Trudy Ludwig. This entry was posted by signewhitson on December 21, 2016 at 1:19 pm, and is filed under Uncategorized. Follow any responses to this post through RSS 2.0. You can leave a response or trackback from your own site.